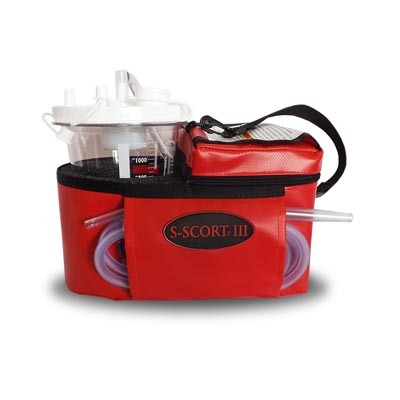 SSCOR Quickdraw Military Unit - J.D. Honigberg International, Inc. 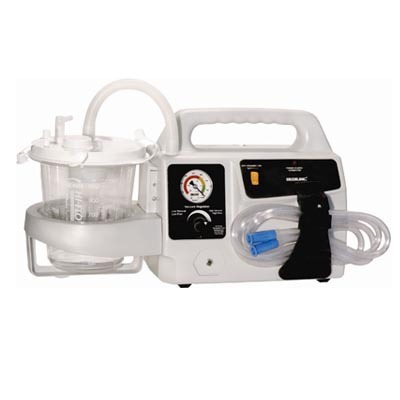 The Quickdraw weighs less than three pounds fits in an aid bag and suctions more efficiently than a standard suction unit. 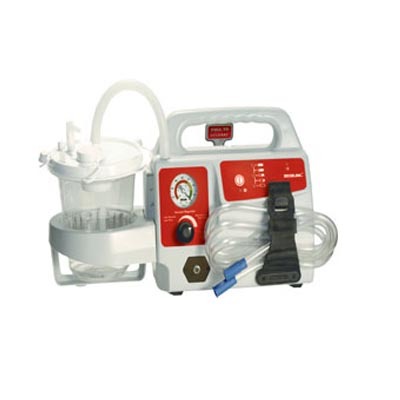 It is challenging to have good medical vacuum available at the casualty’s side. 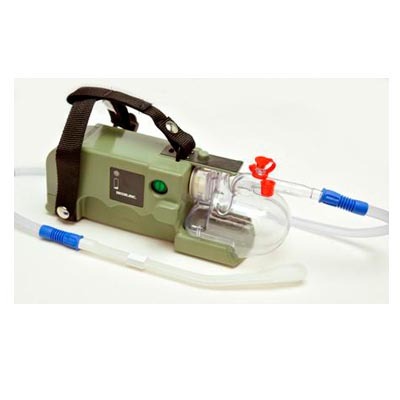 The tactical Quickdraw OD is configured especially for military field use, provides vacuum as efficient as any large aspirator but weighs 2.6 pounds and easily fits into an aid bag. The alkaline battery technology is proven to be safe and meets the needs of users who wish to store the device and not keep it on charge at all times. The Quickdraw utilizes alkaline battery technology eliminating dependence on charging protocols, cables, and power sources. We heard from the field that it was not always convenient to keep a suction device on charge. For that reason, we developed a suction unit that worked from alkaline batteries. The alkaline battery technology is proven to be safe and meets the needs of users who wish to store the Quickdraw and not keep the device on charge at all times! Alkaline batteries have a long shelf life, require no charging, pack a lot of power for long run times and are widely available and inexpensive. The disposable alkaline battery pack will power the Quickdraw for 3 continuous hours before needing to be replaced. The LED on the side of the Quickdraw monitors the battery voltage of the alkaline battery pack and lights to alert the user the voltage in the battery pack is becoming low and should be replaced. SSCOR also offers a ‘AAA’ battery holder which accepts ten (10) standard off the shelf ‘AAA’ alkaline batteries. A ‘AAA’ battery holder will power the Quickdraw for 60-100 minutes using 10 off-the shelf ‘AAA’ batteries or 10 NiMH batteries at full capacity. After the batteries have been discharged, they can be easily replaced with off-the-shelf “AAA” alkaline batteries or NiMH batteries. 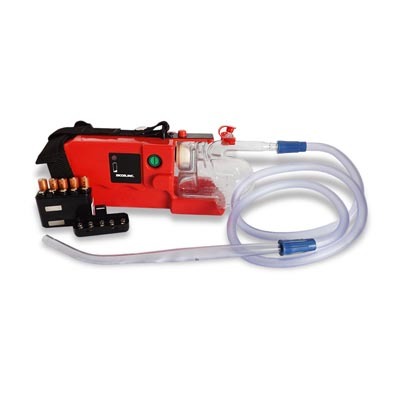 The alkaline powered Quickdraw OD requires no charging and the device can be stored in the aid bag with minimal degradation to the voltage of the battery. The battery maintenance system in the Quickdraw will monitor the voltage in the alkaline battery pack while it is being used and a red LED on the side panel will light when the battery voltage is low and a replacement battery pack is required.